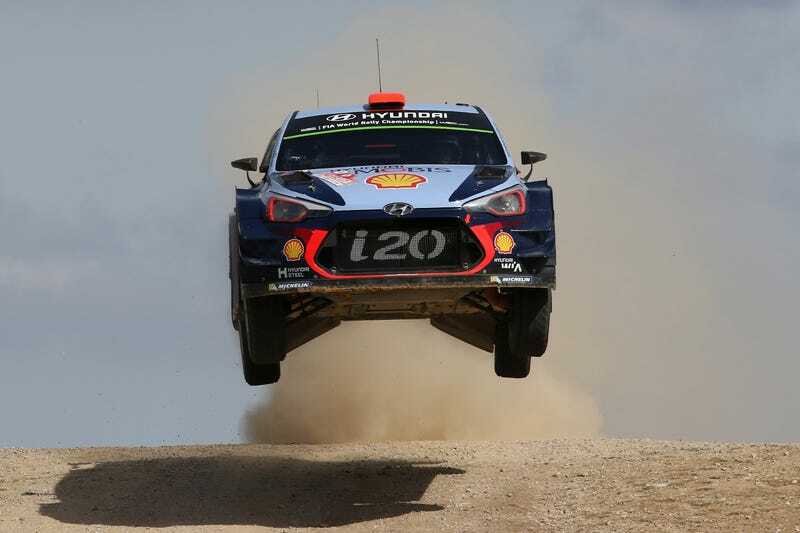 The craziest jump in rally is a big statement. You have the famous jumps in Finland. El Brinco in Mexico. WRC Sweden has an award named ‘Colin’s Crest’ for the longest jump on SS16. These are massive jumps, but they aren’t the largest or the craziest. You need to go down to Australia for the craziest; a jump that’s on the Mineshaft stage of the Canberra Rally. Although Minshaft really isn’t a jump, it’s more of a cliff in the middle of the stage. Even at really slow speeds cars seem to fall right off this thing and explode on impact. It looks so dangerous that if this road existed in the United States they would have barricaded it decades ago. Here’s another look at it from the bottom. I have yet to find a video of a car clearing this thing and landing without an explosion. I’m not sure its even possible. Mineshaft has to be the craziest jump in rally.